What more can be said about Chuck D? He’s an emcee, a songwriter, producer, author, innovator, and now he’s a Hall of Famer. Chuck D and Public Enemy will be inducted into the Rock & Roll Hall of Fame this month in their first year of eligibility—it’s a well-deserved honor. Public Enemy burst onto the scene in the mid-80’s with their Def Jam debut, Yo! Bum Rush the Show. Chuck D’s prominent voice matched with Flavor Flav’s high-pitched interjections was a match made in Hip-Hop heaven. Chuck and Flavor alongside Professor Griff, DJ Terminator X, and the S1W’s made testosterone filled music centered on the plight of the black man in America. Sonically, Public Enemy and the Bomb Squad crafted a sample-heavy sound that was previously unheard in Hip-Hop. Public Enemy’s sophomore album, Takes A Nation of Millions To Hold Us Back is what really turned the group into rock stars. Almost every track on the album was single-worthy and today songs like ‘Bring the Noise’ and ‘Don’t Believe the Hype’ are woven into the fabric of Hip-Hop. Nation of Millions is arguably the greatest Hip-Hop album of all-time. The group released four more critically acclaimed albums in the 90’s before leaving Def Jam Records to lay the groundwork for independent digitally downloaded music. Chuck D recently helped to start the digital distribution company, SPITdigital that released P.E.’s last two albums, Most of My Heroes Still Don’t Appear On No Stamp and The Evil Empire of Everything. P.E. is also set to embark on the Kings of the Mic tour this spring alongside other Hip-Hop heavyweights, LL Cool J, Ice Cube, and De La Soul. I had the extreme pleasure of talking to Chuck D about PE’s classic album, It Takes A Nation of Millions To Hold Us Back, what goes into a live Public Enemy show, and his digital distribution company, SPITdigital. TRHH: I saw you perform in December on the Hip Hop Gods tour. What did that tour mean for Public Enemy and Hip-Hop as a whole? Chuck D: House of Blues! I think it was a way for us to reach out to our peers to make a statement that Hip-Hop is a performance art. You really have to mature and learn your craft really well before you can make the ultimate statement about what the art form is about. To be able to call our peers from Monie Love to Wise Intelligent to X-Clan and others was to make a statement that Hip-Hop at its purest can be educational, futuristic, can make a statement with its music, and can also tour from East to West on one coherent tour which hadn’t been done in a long time. TRHH: I first saw you guys perform in 1990 on the tour that Trouble T-Roy passed, and the following year in ’91 when Apocalypse came out. Since then I’ve seen you live a handful of times. One thing that’s consistent about Public Enemy is you’re going to give a great live performance. What’s the recipe for rocking live shows? Chuck D: Teamwork. All the elements are in tact and everybody is a better performer than I am [laughs]. From Flavor, to Lord, to the S1’s, down to the rhythm unit we’re all professionals. From past to present everybody knows their roles. It’s like a football team. I talked to Terminator the other night and we’re going to actually perform at the Rock & Roll Hall of Fame event out here. He’s like Joe Montana and DJ Lord is like Steve Young–they’re Super Bowl champions. Everybody already knows their role and tries to fill out their role with the best effort that they can and it all comes together in a coherent way. That’s what drives us—nobody wants to get outdone by each other in their different zones. When we started to add The BaNNed as the rhythm unit alongside DJ Lord it was almost like a studio on stage. That really enhanced Flavor even more so because people were just buggin’ out that Flavor could get down and be in his element. Not only did he create the hype man position but he also brings so much to the table by playing instruments, so I think he really enjoyed that transition. Really everybody else is the best professional that they can be and all we’re worried about is giving the best effort and make sure that people have never seen what we deliver. TRHH: Is it difficult to come up with a set-list for a show because you guys have so many albums and so many hits? Chuck D: Yeah, especially when it comes down to a transition of albums where you know a lot of people in the crowd if they picked up your latest record and they sat with it for 4-5 months already, those are the people that are going to be disappointed that we didn’t do any new cuts. You’re going to have an outer ring of people that come to your event that are like, “I ain’t seen PE in twelve years. I ain’t trying to hear what happened over the twelve years. I wanna hear ‘Bring the Noise’, ‘Don’t Believe the Hype’, and ‘Fight the Power’” Then you got a contingent of people that are like, “Yo, I been following them for the whole 25 years and I wanna hear them new joints that I’m diggin’.” It’s a good problem. Chuck D: Oh yeah, and Dilated Peoples. Those were great guys to tour with. TRHH: It was a cool show and on that tour specifically I remember you kind of touched on every album. That was real enjoyable for me. That was dope. Chuck D: Yeah, like I said I’m the least gifted out of everybody in the crew so I kind of bring the most issues. I don’t have the ability to remember songs well. I’ve never had writers block. I write ‘em good, I record ‘em well, and I perform ‘em well when I know ‘em. TRHH: Talk a little bit about SPITdigital. Chuck D: SPITdigital is where the plan is to create artists to have a DIY plan to be their own label. I started out at the top of the century in the digital movement helping aggregators form and develop such as the Orchard in 2004 and TuneCore in 2007. The aggregations companies were able to go into iTunes and later on Amazon and other distributors of digital music. The aggregator is the one that comes in and encodes and inspects. You gotta go through the aggregator to get it to the digital stores. After 2009 we started forming our own company. But we had to actually get clearances with the number one digital distributor of music in the world, iTunes, which is 93% of the market place. So we kept delivering SPITdigital for two years and it had certain glitches in the system. We finally got accepted in April of 2012 after many go-overs and redesigns. We wanted to make a statement with the two Public Enemy albums that there is a long tail to digital music that’s here to stay. We feel that it’s a perfect component to Rap music and Hip-Hop the way that we go about it. We record quick, deliver quick, and are able to perform it. It was really a boutique situation for digital distribution and to this day it’s our most adventurous project. Being able to go to people and say, become your own label, even a lot of the cats in the ‘90’s that recorded on DATS and released an album or two on CD and then got caught up in the one-sided distribution of the industry, we’re inviting them to come back and reestablish their catalog. We have what we feel is the best service custom deal. It’s not like it’s Chuck’s thing, no, we feel this is the best service that you can do to get yourself involved with becoming your own label in the millennium. TRHH: You mentioned the two albums that you released within months of each other in 2012. What was the reason for dropping those albums so close to each other? 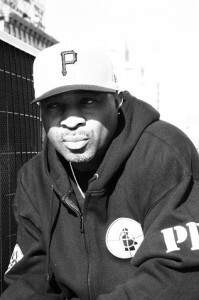 Chuck D: To make a statement with what we are with SPITdigital. To say that it was an impossibility to do something like that in the analog days and it was an impossibility to do it even as of two years ago. We wanted to make this digital distribution statement. For the longest time the biggest thing that they used to talk about was having our own distribution—it became this thing. When we finally got our distribution and we were unable to recognize it as such this is what I called my wake up call like look, you screamed for your own distribution for so long become your own label and get with a digital distributor where you can go directly into the fold. It’s a slow argument because people are still stuck in some of the last century. TRHH: I saw you Tweet that ‘I Shall Not Be Moved is your favorite Public Enemy song of the last ten years. Explain why that song is your favorite? Chuck D: I just like the way that it came about and I just like the way that I delivered it where it became easy for me to remember it. I really think ‘Harder Than You Think’ really happens to be the record that was the easiest for me to make. I really enjoyed doing that record as well and it might be number one because it had results that were very rewarding [laughs]. It became a Summer Olympic theme, our first top ten record ever, and it just keeps growing around the world. It’s probably like seeing a child grow up to be a President or a leader of something—totally unexpected. ‘I Shall Not Be Moved’ was one of those records that was fun to do and fun to perform. Chuck D: Yeah, but also Sherron it was one of those records that was stuck in the transition of the realization that it’s not gonna be CD’s for long. We’re moving into the digital phase and it was caught right in the middle. There really wasn’t a clear-cut way to market it in the United States as an independent. We got involved with TuneCore on that album which really was the significant boost into selling that record in the digital realm. The whole album was moving through the digital realm at the beginning of that and it was doing numbers that were different from the CD era. We had a bunch of those albums that were delivered in record stores that were picked and followed but it was a different time. One thing that we’re totally in is the digital era. We’re body deep in it right now; it’s no doubt about it. If they go to the store they’re going to get a CD on the backburner. Black folks in the community were like, “I still want a CD,” but as of the last three years that era has closed with smart phones and tablets. That was the final death nail to the CD being the dominant “I gotta get it in the hood” format. It was slept-on but the people that came to our performances had a great time seeing it and they asked, “What the hell is this? It’s off what album?” So the album had a rebirth. So what it is Sherron is it’s not so much a Public Enemy statement, it’s a statement of the configurations that have now formed in the market place. There is a long tail of digital music that hasn’t been determined, understood, or seen. Where you no longer come out with an album and your race is against how you get it out of the stores as a purchase up against the realm of returns. In the digital realm there are no such things as returns. In retail there’s returns because there’s always gotta be turnover inside the record stores. The thing about it is when it comes down to P.E. we recorded in a transition stage. I think it’s good that everybody understands that we’re body deep now into digital. Not to say that analog disappeared. We released the last two albums on CD but they’re on the backburner. Oh yeah, by the way, they’re not like the thing you’re trying to get to the market place on the first day of release. Where it sits in the rack and whenever people get around to it if they see it, fine. TRHH: I’ve bought all of your albums and I’m a big CD person. The last two albums were the ones that I couldn’t find at Best Buy [laughs]. I’m ancient in that way because it was the first time that I bought an album off of iTunes. When you can get me to use iTunes things are definitely moving in that way. I’m a little behind in the times but I’m getting there. Chuck D: That’s alright, you’re behind in the times but if this was the turn of the last century you just would have rode the horse just a little bit longer before you got that Model T Ford. TRHH: [Laughs] Exactly! Man, it took me a long time to get on CD’s. I was carrying a bag of tapes around and a Walkman for a long time. Chuck D: Just like Flavor. TRHH: Take me back to the making of It Takes A Nation of Millions To Hold Us Back. When you were recording that album did you have any idea that you were doing something special? Chuck D: Oh yeah, most definitely. That was the plan. We wanted to make a ‘What’s Going On’ of Rap music and we set out to make it with those intentions. We knew what Rap music had in the album format. We know what was at that top. We knew there was Escape by Whodini, Run-DMC’s Raising Hell was the pinnacle, and you had albums here and there that were a collection of singles. We wanted to look at the art form as an album format. So we were really the first to look at the album format in the same way that rock groups looked at their albums. We wanted to look at the album format the same way the Beatles looked at Sgt. Pepper, the same way Earth, Wind & Fire looked at Gratitude and That’s the Way of the World. We took it on and we had a sensibility of what it took to make an album from an album standpoint and leave the singles as something that peppered it but didn’t saturate it. I have to admit we totally 100% knew that we had to make something and we were making something very special. It was easy to make something different and you had the latitude to do so. There weren’t a lot of the artists that had reign of the studio in ’87 anyway. You had to be something special to get an album done, period. Being with Def Jam through CBS at the time before they became Columbia then Sony, the green light of Def Jam doing albums was already set with LL Cool J, Radio and especially the Beastie Boys, Licensed to Ill. We could actually go into the studio on the heels of those records and go in uninterrupted and create an album for albums sake. We really weren’t judged by our singles. We knew we had to make some singles that kind of popped off of it but we definitely made that album for albums sake, which was the first statement in the making of a Hip-Hop album with some different tentacles to it. Sherron, case in point, we didn’t want to make a record that went cut to cut. We wanted to put some different interstitials as they say in the television world. We wanted a live effect like Gratitude from Earth, Wind, & Fire. I had a tape of where we just played in London to a raucous crowd so we interspersed that between the cuts to show people we had a live element to us. We had to get it all out in one album. We didn’t make our video until deep until the second cut of our album, which was ‘Night of the Living Baseheads’. We had to get our whole story out in a recording. We’re something to see live, our point of view is this: We will not make the same record twice. We will go from this extreme to that extreme sonically, and visually we will come with something different that will equally blow your mind. That was how we set out to do that and if it didn’t work we hedged all our bets on it to work. TRHH: Was there any pressure to equal or surpass that with Fear of A Black Planet? Chuck D: It was totally pressure but we already made up in our minds that we weren’t going to repeat ourselves twice. If It Takes a Nation is a fastball right down the pike, trust me Fear of A Black Planet is a curve ball that’s looping like you wouldn’t believe. It was, don’t throw the fastball, throw the curve ball. TRHH: That’s the feeling I got when I listened to it. Come to think of it, no Public Enemy record is similar. Chuck D: That was the goal. Very few people and very few journalists especially have figured it out. You don’t know that your first two or three albums because you’re making two or three records. But it’s something if you’re looking over a twenty-five year period you say, wow, these dudes went on this side and totally abandoned it. We know that this area is hot but we’ll leave it to everybody else. We’ll try to challenge the road of what you won’t like. It takes somebody who is kind of crazy or a group of people who don’t really give a damn to take that road. I think Outkast came the closest in Hip-Hop out of mainstream groups to take that approach of making you go, “Huh?” They never made the same thing twice and they never made stuff based on if people are going to feel it or not. They were like, “This is what it is and we’re going to make you feel it.” I admire that from Outkast a whole lot. This entry was posted in interview and tagged Chuck D, Harder Than You Think, I Shall Not Be Moved, interview, It Takes A Nation of Millions To Hold Us Back, Most of My Heroes Still Don’t Appear On No Stamp, Public Enemy, Rock & Roll Hall of Fame, SPITdigital, The Evil Empire of Everything. Bookmark the permalink.